Following the events of Daredevil #7, Prince Namor the Sub-Mariner gets his own series in the pages of TTA and the multi-part tale of "The Quest" continues --here Lady Dorma is trapped by Warlord Krang! Note art paste-over on Dorma's lower right arm. 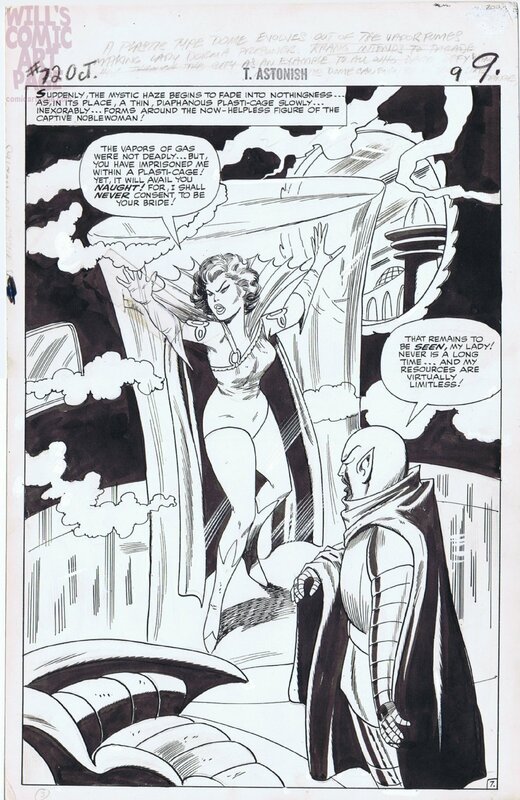 Large Sized Artwork from the early days of Marvel !